That’s right, REACT’s Haunted Hallways event is coming back for its seventh year, and it is going strong. After previous themes of Fairy Tales, Carnival, Classic Films, and even American Horror Story, this year the good doctor has checked out early and left his haunted hospital to you. For those who don’t know, Haunted Hallways is an annual charity event held by REACT which stands for Reality Even Affects Clinton Teens. REACT, a youth leadership club for Clinton students in grades 4-12 run by Partners in Community, transforms the Morgan School into a Fairground of Fear. This year’s event has a $4 admission fee and is being held on October 29th, 2017 from 6:30 to 8:30pm. This year’s Hallways are different from the others, as they are all intertwined with each other, as opposed to one generic theme with different branching halls. For example, with Horror Classics there was a hall for zombies, The Purge, JAWS, Carrie, and Scream. This year it is different sections of a hospital, with the haunted areas being the courtyard, the band hallway, and the A-Wing. REACT has decided to play all their cards this year to try and top their astounding $1,045 raised last year. This year’s theme is said to be the scariest one yet. 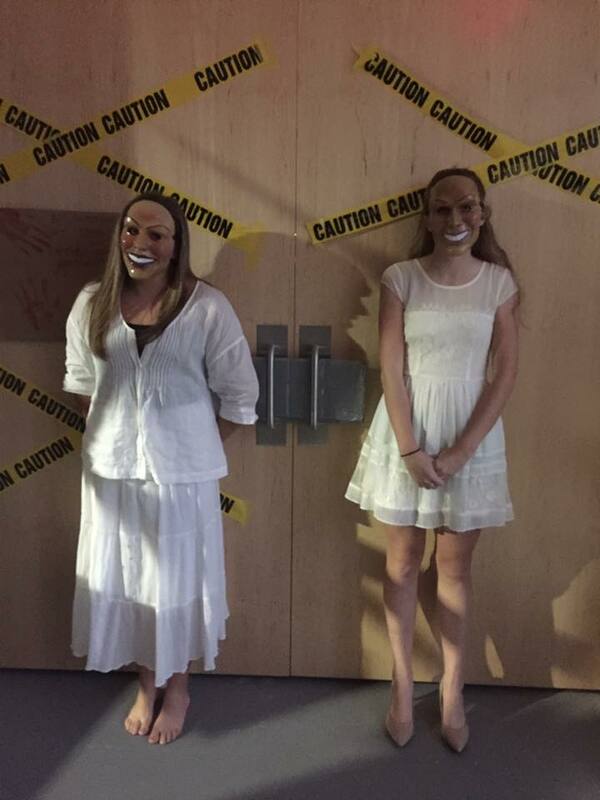 REACT Member Senior Nina Kelly said, “Last year’s [was the scariest]. Although this year will probably be the scariest.” When questioned about one thing she wanted for this year, Nina said, “I want to get people to work together to really scare people. I want a really scary hallway this year.” REACT Member Junior Scott Accetta said he wants “everyone to work together, make it run smoothly, and have the scariest hallway along with a very scary Haunted Hallways in general.” REACT Member Sophomore Rachel Schmardel said she wants to “make it scarier. Last year there was just a lot of screaming, and that’s a turnoff for some. We’re going to try our hardest to make it not that this year.” If everyone in REACT is as motivated to give us nosocomephobia, or fear of hospitals, this year will definitely be the scariest yet.